Cash for Cars Northwest is a trusted name for maximizing cash for your car, truck, van, or service vehicle. Not matter the make, model, age, or condition of your vehicle, we offer the best cash for cars in Camas and the surrounding areas. Why bother negotiating with an opaque dealership on what you’re getting for your car or put up with advertising showing the car to person after person? Bring your car to us, or, better yet, let us come to you and pick it up for free. We will give you same-day cash. It’s that easy. When you call us, we make the process as smooth as possible. From getting a knowledgeable appraiser who offers an accurate quote we will stand by when you call, to having all the DVM paperwork handled for you, we make the process simple. For over a decade we have been a locally-owned, reputable name in the area. We offer straightforward, no-pressure quotes and then leave the decision to you. Why call us for cash for cars in Camas? Same day cash, no waiting! We buy any vehicle, no matter the condition. We offer top dollar for cars in great condition and also buy those that don’t drive at all. Fast service. From the time you call to the time we pay cash for cars generally takes no more than one to two hours. We are licensed and bonded local company. We are invested in our community and want to do right by our customers. When you call we give you a no-pressure, no-charge quote we will stand by. 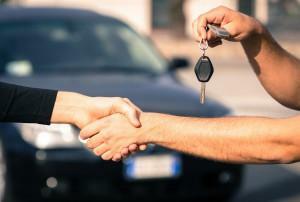 Our experienced appraisers know how to offer the best cash for cars in the business. We handle the DMV paperwork, so there is no standing in line for you. We have great ratings with online review sites, so you can see that our customers are happy with their cash for cars experience. No dealing with unknown potential buyers or haggling with a dealer. We take the stress out of the transaction. If you have a car you no longer need, want the extra cash for, or are considering selling, give us a call. You can find out how much we offer without any pressure to sell. Speak with an experienced appraiser and feel free to ask any questions you want. We are happy to oblige! 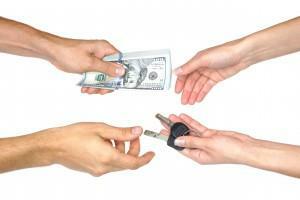 Call today and get the ball rolling for your cash for cars in Camas.